Anyone seen this? The back label says that's it's brewed by San Miguel in Thailand. Export only? Well, the beer actually exists. I guess they constructed it faster than the web site. I had a bottle at a Thai restaurant in the US a few months back. I was using the label as a bookmark and just rediscovered and scanned it this morning. 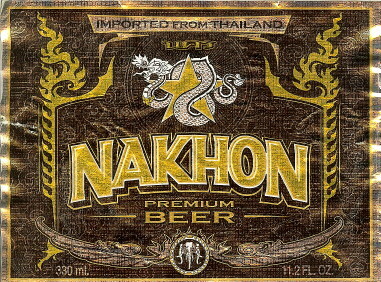 Never seen it for sale in Thailand, maybe this is where the phase "Nakhon nowhere" comes from. I had a bottle at a Thai restaurant in the US a few months back. You just blown your cover.